In our Philadelphia medical most program we know that now is the time that everyone starts getting ready for those summer days at the beach. And this means that most of us are trying to lose weight and drop those pounds and inches so that we look good and feel good in our bathing suits. That’s why in this article I am going to give you four great smoothie recipes that will help you lose weight fast. When you combine these smoothies with everything that we give you in our medical weight loss program (proper rapid weight loss diet plan, exercise plan and FDA approved medical weight loss pills and appetite suppressant medications and our vitamin shots) you should be ready for the beach this summer. 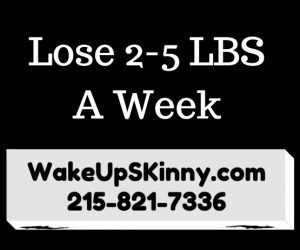 If you would like more information on our medical weight loss program or even better schedule your free weight loss consultation call us at 215-821-7336 and our friendly staff would be happy to schedule you. Today I’m going to give you some great recipes and they are for a creamy chocolate smoothie, a tropical paradise movie, a green monster smoothie and an apple a day smoothie. So here are the recipe, Enjoy!! Combine the unsweetened almond milk, frozen banana, half of a small avocado, honey and unsweetened cocoa powder in a blender and blend until it’s creamy smooth. This recipe makes one smoothie. Combine everything into a blender and enjoy. This recipe makes 1 – 2 servings. combine the seedless grapes, kiwi and half avocado into a blender and blend until it’s creamy smooth. This recipe makes one large serving. Combine your apple, baby spinach, avocado, almond butter and ginger into a blender and blend until it’s creamy smooth, then enjoy. This recipe makes one large serving. So there you have it four fantastic smoothie recipes that will satisfy your taste buds, help control your appetite and cravings and help you lose weight safely. If you, a friend or loved one would like help in losing weight I invite you to call us now and schedule a free weight loss consultation. Call us now at 215-821-7336. This entry was posted in Diet Doctors in Bucks County, Diet Doctors in Philadelphia, Medical Weight Loss, Medical Weight Loss in Philadelphia PA, Medical Weight Loss Philadelphia, Weight Loss, weight loss philadelphia and tagged medical weight loss in philadelphia, philadelphia weight loss doctors on February 20, 2017 by Dr. Michael Kenny.